It’s the end of winter, that time of year when we’re ready for spring and dreaming of tropical vacations but still craving comfort food. Now, though, we want it without all the calories. 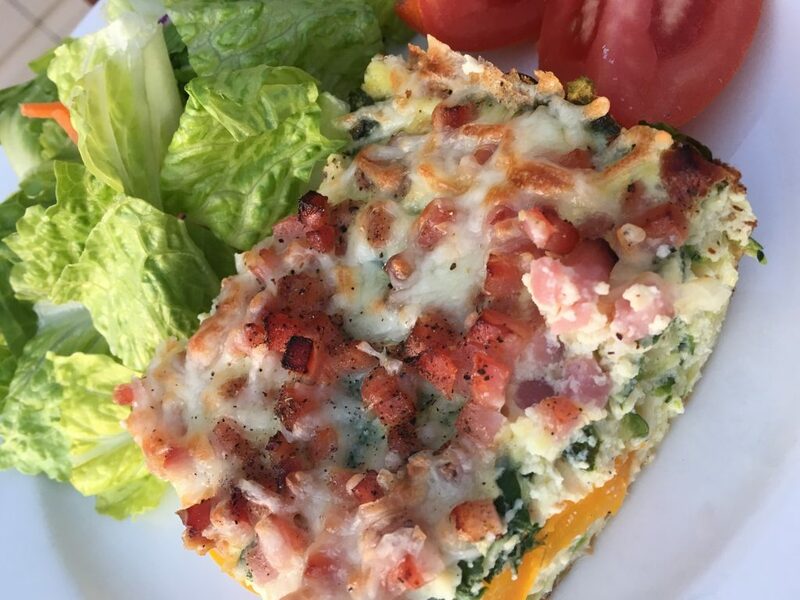 This Savory Crustless Quiche is the perfect answer! It’s a breeze to make, and you can eat it anytime of the day, not just at breakfast. I love it so much, I could eat it at every meal. Southwest Quiche: use Chorizo, red onion, and diced jalapenos. Italian Quiche: use ground Italian sausage, Italian spice blend, and fresh basil. Greek Quiche: use grilled chicken breast, black olives, feta cheese, and fresh tomato. Spray a 9-x-13-inch glass baking dish with nonstick spray, and preheat the oven to 375 F. Line the bottom of the baking dish with the shredded zucchini. In a bowl, whisk together the eggs and spices. Stir in the cheeses, reserving 1/4 cup of mozzarella for the top. Pour the egg mixture over the zucchini layer. Add the spinach and bell pepper, making sure that they are spread evenly over the entire pan, and gently push them into the egg mixture. Next, spread the diced ham over the casserole. Top with the green onion, and season with salt and pepper. Bake for 40 minutes and remove from the oven. Sprinkle the remaining 1/4 cup of cheese over the top of the casserole (or a little more if you like it cheesy), and bake for another 5 minutes. If you want the cheese to be crispy, use the broil setting for 2-3 minutes to melt the cheese, but watch it closely so it doesn’t burn. 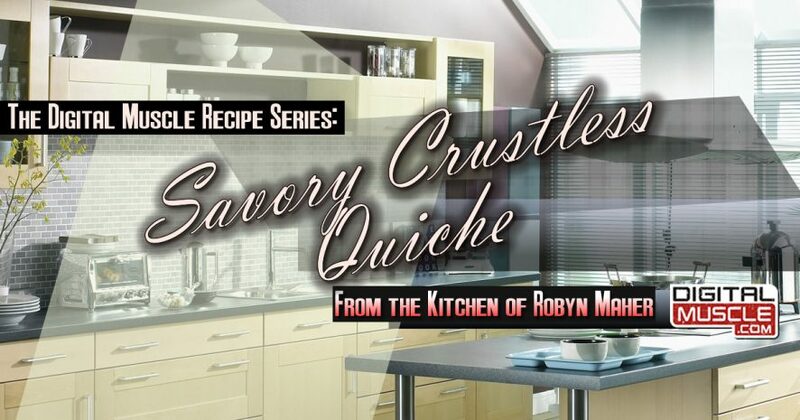 Let the casserole set for 5-10 minutes before slicing into 8 equal portions. Store leftovers in airtight containers in the fridge—they’ll keep for about four days. Tip: you can wrap the cooled pieces individually and freeze them in a large Ziploc bag to remove and reheat one at a time. Nutrition facts: This recipe makes 8 servings, each containing 208 calories, 26 grams protein, 3.5 grams carb, and 10 grams fat. Get more delicious recipes with a “fit twist” now at the DigitalMuscle.com Fit Recipe Blog!